As the new school year approaches, Urban Initiatives looks back on a summer of firsts. For the first time, we had high school students (many of whom were Work to Play students years ago) working through After School Matters in paid positions at our school-based summer camps. We are so proud to be able to be developing a way for students who came through our programs as participants to use their experience as coaches for a younger generation! 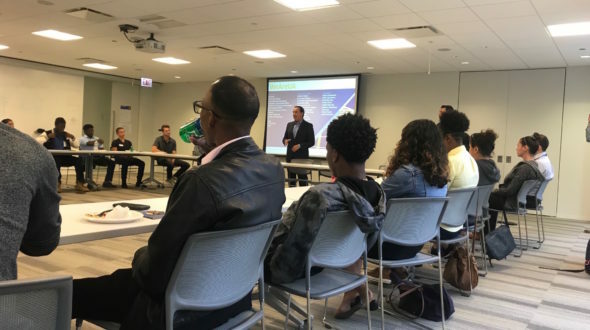 To cap off the summer, Urban Initiatives hosted a 3-day Summer Citizenship Conference, to build in our high school students’ summer experience and support them to continue seeing themselves as future change-makers in Chicago. Each day of the conference had a different theme: Academic, Professional, and Cultural. 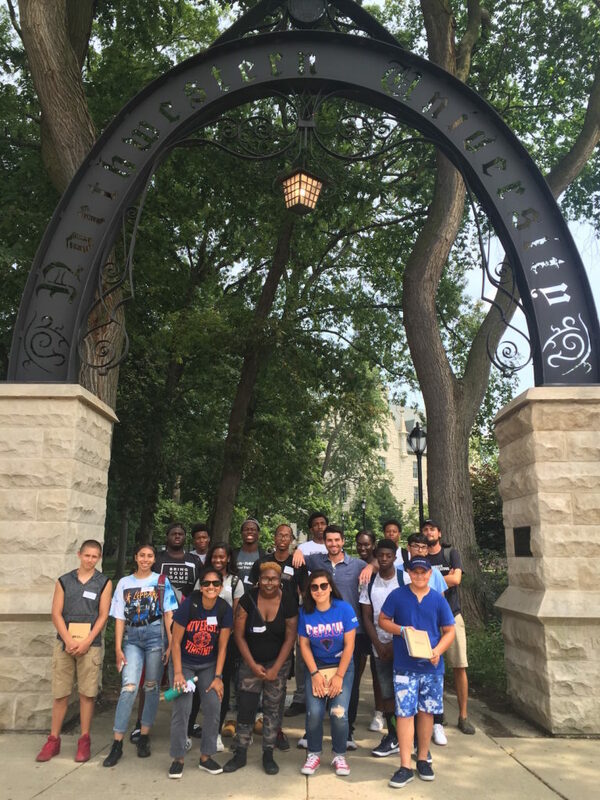 On the first day, students visited Northwestern University. Through a partnership with the Center for Civic Engagement, our students toured campus, ate lunch alongside students in the dorms, and participated in a class about community organizing with Professor Paul Arntson. A key takeaway from this experience was the importance of effective communication. 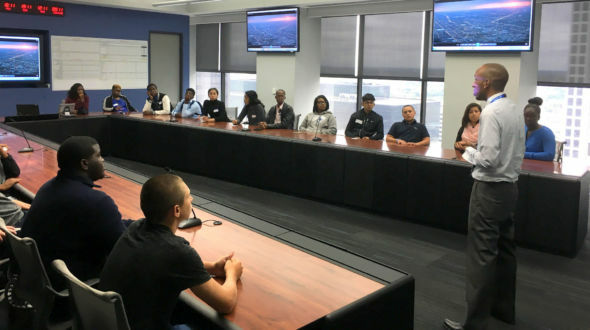 On the second day, students had the opportunity to tour two corporate offices in downtown Chicago. 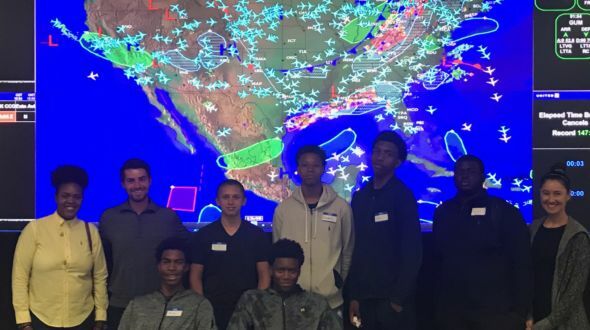 At United Airlines, students caught a glimpse of what it’s like to work at the Network Operations Center, responding to weather situations and tracking every single airline in flight. We were joined at lunch by United CEO Oscar Munoz, who shared his story about growing up in an immigrant household and making the decision to be the first member of his family to go to college. 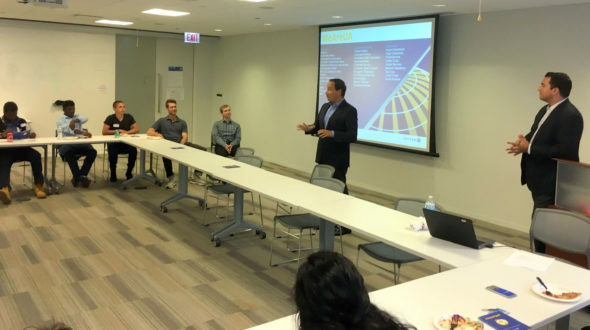 Urban Initiatives Board Member Jimmy Samartzis echoed that story, and students learned that their college experience is less about what major they choose and more about tenacity, hard work, and following their interests. 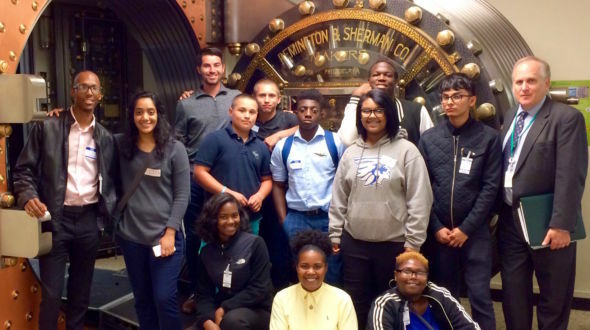 At Northern Trust, students toured the bank vault and learned about the company’s long history before participating in a panel of partners. 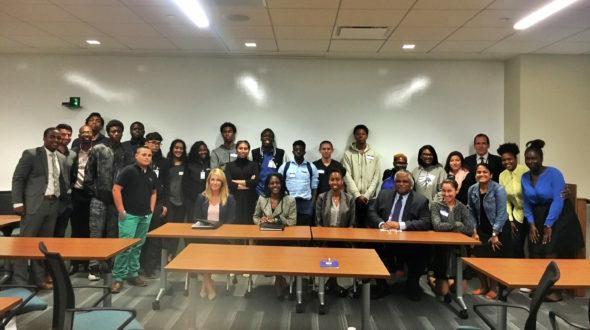 Board Member Pete Cherecwich and Associate Board Member Ronnie Westmoreland hosted a discussion about the importance of cultivating mentors, and the value of building a diverse workforce. Urban Initiatives is SO grateful to our Board and Associate Board members who helped make this experience meaningful for our students! On the last day of the conference, students switched gears from being receptors to being active teammates. Students competed in teams at the Museum of Science and Industry to complete a scavenger hunt. While they searched for clues, students experienced the museum’s mirror maze, the baby chick hatchery, and the simulated tornado! This last day was intended to be a moment for students to enjoy each other’s company and explore a piece of Chicago’s cultural history.